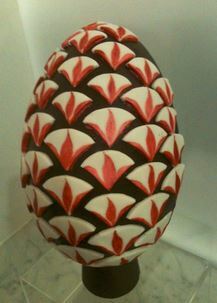 There is a great reason to pop over to the main Melt Chocolates shop on Ledbury St this Easter. 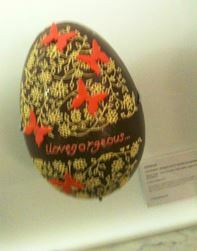 Not only do they have their usual delicious range of chocolate Easter treats, they also have an exhibition of some extremely limited edition eggs made out of chocolate by local artists. Stunning works of art, I can’t imagine eating one of these on Easter morning but they are also made with chocolate by Melt so you know it is going to be excellent quality coverture. 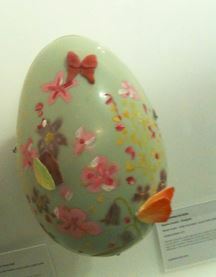 The eggs are stunningly beautiful. 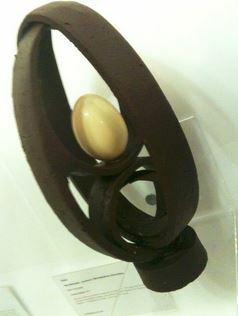 They are painstakingly created in chocolate and icing by the resident chocolatiers with the skill of master artisans. The individual flowers were piped on by hand for one flower-festooned creation and possibly the most complex lace pattern ever has been piped freehand onto another egg. I cannot imagine having to make one, let alone five! 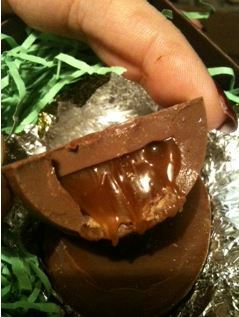 Besides eggs of the highest artistic order, Melt also has eggs that you won’t mind breaking into and eating as much. 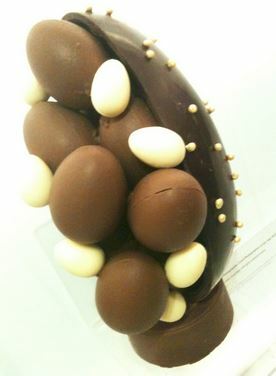 One of these eggs is their sea salt caramel eggs. Melt has a variety of flavoured sea salt caramel truffles, as well as having won an award for their sea salt caramel bar in the last Academy of Chocolate Awards so I was keen to try this egg. The egg itself is unassuming… it doesn’t blow your hair back with visions of loveliness but that simply lulls you into a false sense of calm. The first bite therefore is quite a shock. That awesome, deeply delicious salted caramel with its extreme molasses and delightful balance with a thick sticky gooeyness that draws out in a long line as you attempt to extricate yourself from the sticky situation is absolutely amazing. The whole experience is one of sweet milk chocolate, deeply dark salted caramel all coming together to demonstrate why Melt have won a gold for their salted caramel. All in all, this is an amazing egg. It is delicious to the extreme and if I was forced at gunpoint to find fault it would only be that the shell is too thick but I have a feeling that might be because milk chocolate cam be soft and lead to trouble with structural integrity. Still – maybe a barker milk, thinner shell and thus MORE SALTED CARAMEL! 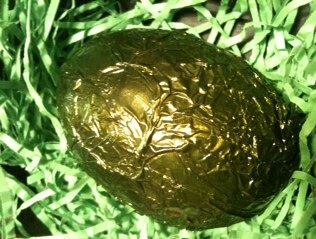 This is a British (London) made egg with delicious carefully sourced chocolate and ingredients so please – this Easter choose chocolate that is sustainable and good for the environment – choose Melt Chocolates.